The generator was removed from ship at ship dismantling yard in India. The generator is in Excellent running condition and currently at our stock yard located in west coast of India. Also available complete range of used reconditioned spare parts for Wartsila 4R22 HFO based generators. 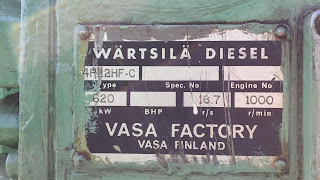 Interested buyer looking for used reconditioned spare parts for Wartsila HFO Based Generators, kindly do get in touch with us. We supply almost all hard to find used reconditioned spare parts for Wartsila engines. 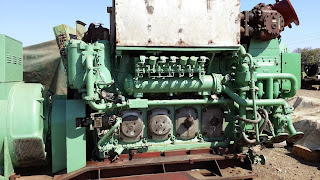 These used engines and generators are directly procured from ship recycling yards located at India.